Looking for things to do in Java? Start with these three ideas spanning the large island in Indonesia. 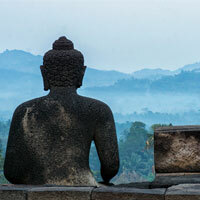 Ancient temples, volcanoes and high end shopping await.